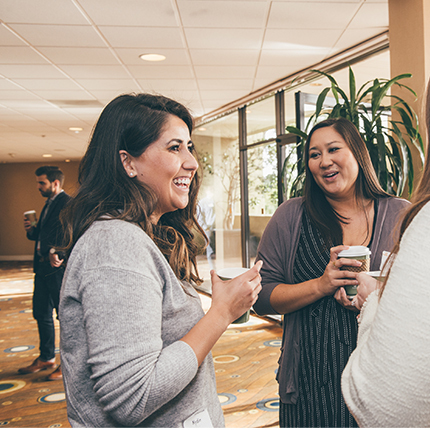 On a crisp L.A. afternoon, the Doubletree Hotel in Culver City hosted some of the best and brightest minds in the world of Marketing Technology, or as one moderator proclaimed… ”cough, nerds”. 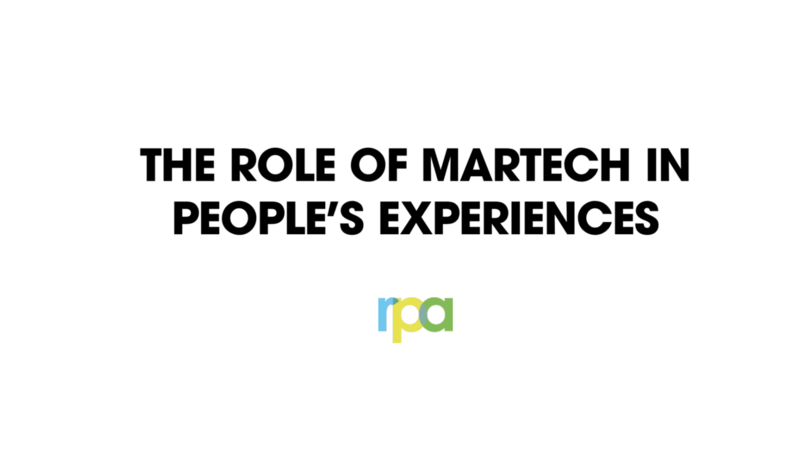 Zingers aside, the stage was set for a deep conversation about navigating the complexities, technologies, and organizational challenges of MarTech and how to harness its power. The event was kicked off by ThinkLA Co-President Tim Hand who welcomed the group. Tim handed off the mic to the event co-chairs Kim Brown Robinson and Paul Santello for opening remarks. They explained the focus of the event: a robust discussion on the convergence of advertising and marketing technologies representing an incredible opportunity for those who understand how to manage them. Hopefully, the audience would walk away gaining insight into building and optimizing their MarTech toolbox, discovering cutting-edge innovative customer experiences, and learning strategies for successfully implementing key technology solutions. And even if none of that happened, there was a raffle and cocktail reception awaiting those who made it all the way through. The opening keynote speakers were Patrick Dolan, IAB President and Anna Bager, EVP Industry Initiatives. They set the stage with several pieces of data from the most recent IAB Internet Advertising Revenue Report. TL;DR: there’s growth, growth and more growth. Overall, digital continues to grow with double digit increases in areas like social media and the emergence of audio as a separate category. (Alexa is listening… always.) 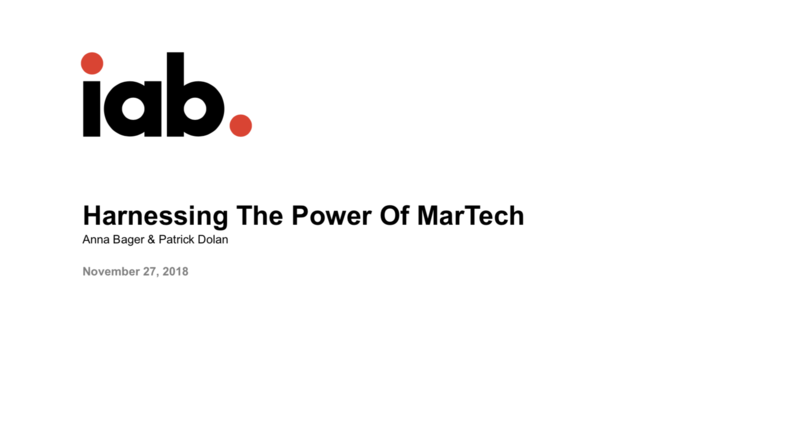 And it’s not just the usual goliaths driving this upward trend: direct-to-consumer (DTC) brands ditch the traditional ways of thinking through buying efficiencies and an embrace of MarTech, giving the category leaders fits. But the waters are choppy for everyone as customer journeys get more complex every day and regulations such as GDPR and CCPA make companies finally be nice to their lawyers. 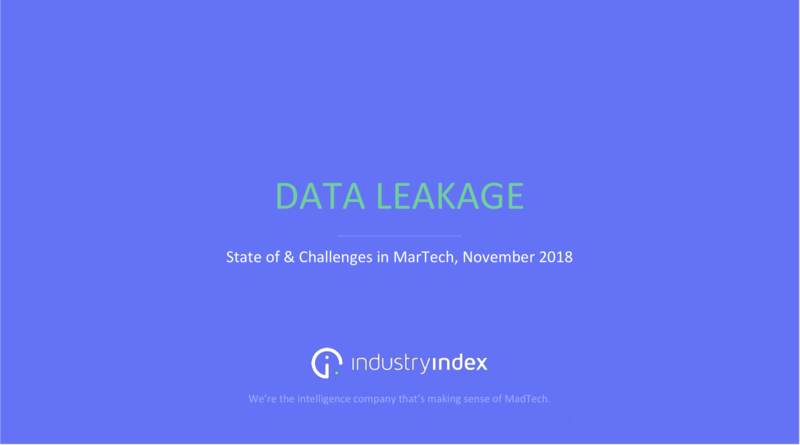 The pièce de résistance of the presentation was the often-seen and crowded chiefmartech.com slide, eliciting gasps from the audience and a cross-eyed author of this recap. Notable quote: “DTC brands are causing the big guys death by a thousand paper cuts”. The data portion of the day was kicked off with a commercial break by one of the event’s wonderful sponsors, Matt Russo from Gimbal. Shailley Singh from the IAB Tech Lab gave the audience a brief description of the great work his group does including developing standards, software and services for the industry. He then jumped into moderator mode with Matt Mendez from Oracle Data Cloud and Josh Peters from BuzzFeed on the panel. After some debate and definition of first-party vs. second-party vs. third-party data, the panel discussed the impact of GDPR and CCPA regulations. Everyone agreed that compliance isn’t just following the rules but a true embrace of the collection and usage of data from a consumer protection standpoint. Matthew Thornton from Industry Index gave one of the more eye-opening and straightforward presentations of the day regarding Data Leakage. Through their research, it was noted that many of the top websites had a lot of first-party technology embedded on their site. In general, technology isn’t so bad, but with so much of it implemented, the result is a confused web team and ultimately, data leakage. Notable quote: “It’s not a drip, it’s a deluge”. The targeting portion of the day featured a panel led by Logan Gufstason of AdTheorent (another amazing sponsor of the event) joined by Karl Meyer of Samsung, Krista Thomas of VideoAmp, and Jason Zollan of Oath. The level of honesty and sharing of opinions was evident right off the bat as the panel agreed that there are pros and cons to some of the industry’s tried and true audience measurement/targeting tools. Nielsen was dubbed a “frenemy” because of its benefit of standardization across the industry but drawbacks due to its continued use of a panel-based methodology. However, a thoughtful approach to mixing and matching data could help solve the use of seemingly disparate targeting tools. That approach is especially helpful in areas like OTT and audio targeting as they lag behind desktop and mobile in targeting advances. Notable quote: “Putting all your eggs in one basket…or betting on one horse…is probably not the way to go”. After a small break to check out our exhibit sponsor Centro’s table in the foyer, bug agency people about RFPs, and grab a cookie or three, we got right back into the action. Two more gracious sponsors, Lorenzo Moreno of the Trade Desk and Jeff Harp of Adelphic kept the momentum to start the ACTIVATIONportion of the agenda. Dubstep music and sharp wit led the way for the next panel. A few glow sticks and Red Bulls could have started a full-on dance party, but the panel, comprised of moderator Leisha Bereson of Canvas, Kenneth Hurta of Brandfolder, PJ Miele of Amobee, and Matt Schmidt of SpotX, dove into topics such as who owns data and how is it actioned upon. The overwhelming consensus was: It takes collaboration and a focus on the end goal. In any given project, groups can get overprotective about deal points and it creates a lack of transparency and forms roadblocks. And then there’s specs. What is often a pain point given the unbalanced attention to targeting over creative could be so DAM easy through the use of a Digital Asset Manager. And finally, for the first time the entire day, someone mentioned “blockchain”. #tooklongenough. Rounding out the Activation section was an informative and resource-rich presentation from Kerry Bianchi of Visto diving into omnichannel programmatic. FYI, “multi” means more than one, “omni” means all places. Kerry explained that the trend of bringing programmatic activity in-house continues, but the four things to consider when making that decision are: 1) A thorough cost benefit analysis, 2) Getting your data house in order, 3) Be confident in the legal/operations side of the house, 4) Not underestimating or skimping on talent…getting it and keeping it. It was the presentation from Anya Ware of IBM Watson that got people comfortable with terms like Augmented Intelligence and Natural Language Processing. Her discussion started with four common challenges associated with data: 1) Unused data or data that isn’t actionable, 2) Lack of transparency, 3) Walled gardens and the scarcity of data coming out of them, 4) An explosion of tools, seemingly useful but creating confusion. To solve for these challenges, IBM implements AI that understands structured and unstructured data, uses reasoning that can form hypotheses, learns and develops skills and interacts using natural language processing. Ok, so maybe Skynet is real, guys. Kidding…but…we were introduced to Lucy, IBM Watson’s AI powered Marketing Assistant (and also the name of Watson’s daughter in real life #truestory). Lucy can be used for data aggregation and mining, sentiment analysis and personalization, which via several case study examples was proven to save organizations hundreds of hours driving smarter, more efficient use of data. The closing keynote was skillfully delivered by Nichola Perrigo of RPA. The main points of her presentation were quite candid: Advice about data hygiene, a mention of Forrester’s Zero Party Data and the need for constant evaluation were given, but the importance of trust and attention to people were areas relatively unexplored by the other speakers. It was a human ending to an otherwise technology heavy day. Notable quote: “There’s elegance in simplicity”. And with that, an afternoon filled with acronyms and talk of technology ended with hors d’oeuvres, vodka sodas and the mutual exchange of rectangular, medium weight card stock with contact info… and a further appreciation of the power of MarTech. Pranav Pandit is a ThinkLA event committee member and recent transplant from Chicago. He’s a free agent looking for the right gig utilizing his 19+ years in the advertising/marketing business. We had a blast this past Tuesday night when a group of powerful women launched into self-care at the beautiful, female-owned, fully independent agency, Zambezi, to learn about treating themselves as well as they treat others. 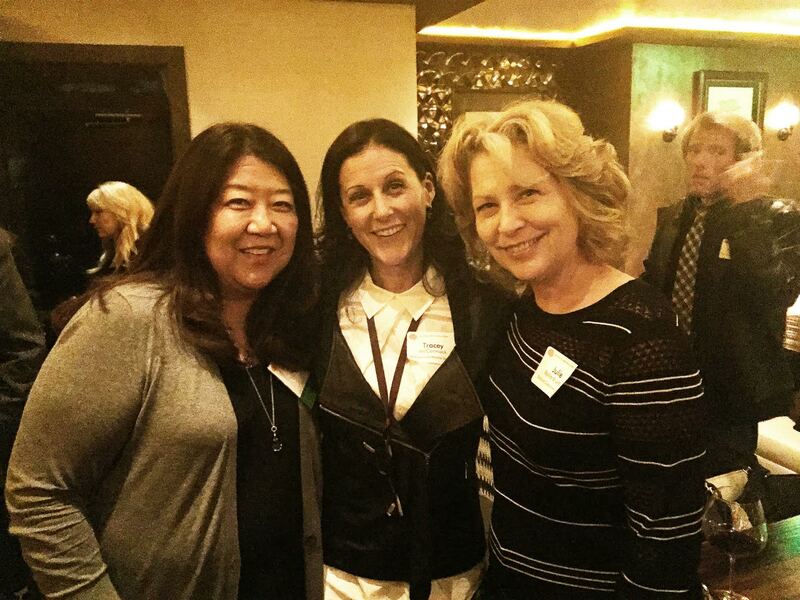 Chelsea Szabo, coach, speaker and trainer at Verbal Courage shared what self-care is at it's core, the biggest hurdles women face to achieving it and helpful tools to begin practicing it immediately. To help further spread the practice of self-care, you can access a 101 Acts of Self-Care below. 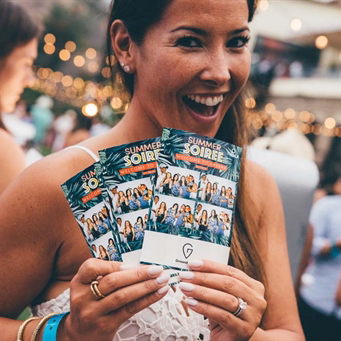 Thanks to all who came to eat, drink, play games, and dance the night away 2018 Summer Soirée Havana Nights presented by true[x]! 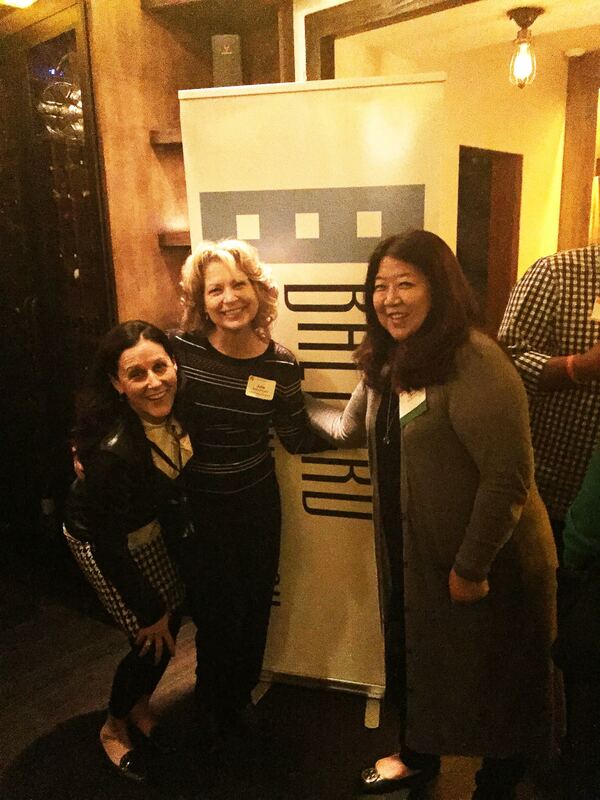 We loved spending a colorful night with all of you - L.A.'s brightest media, marketing, and advertising professionals! 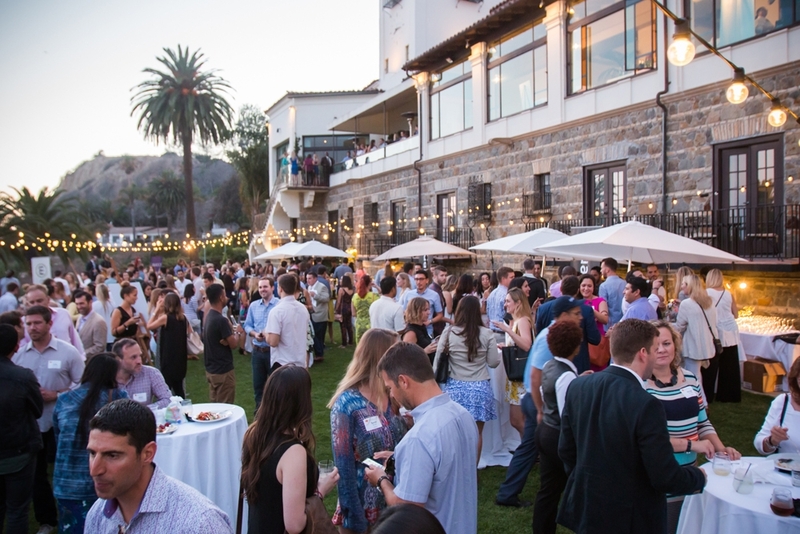 Visions of Flowers, Fedoras, Guayaberas, Cuban-themed cocktails, and ocean views from the Bel Air Bay Club are still dancing in our heads. A huge thanks to all of the talent, committee members, sponsors, and volunteers who helped us make the all of the magic happen! 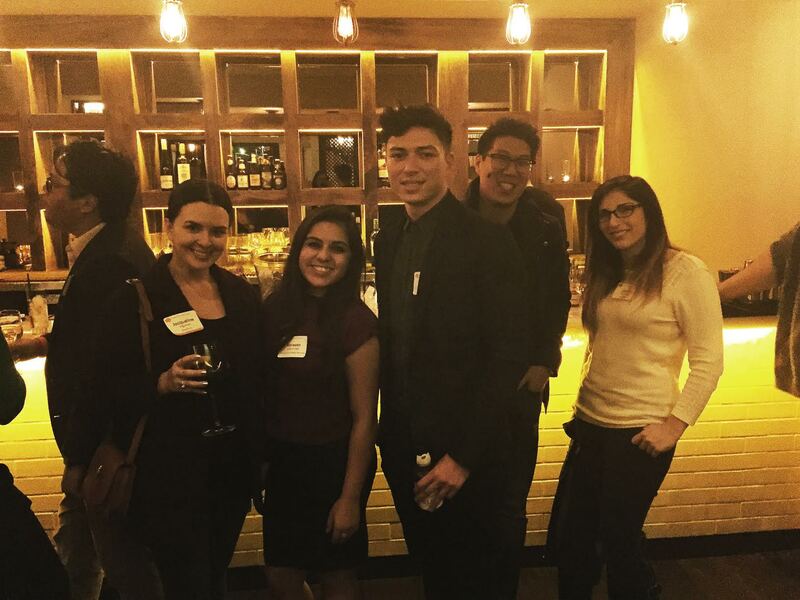 On November 12, 2015, an intimate group of ThinkLA members attended our connectLA Fall Mixer at The District by Hannah An, and had a blast networking and stealing bracelets. 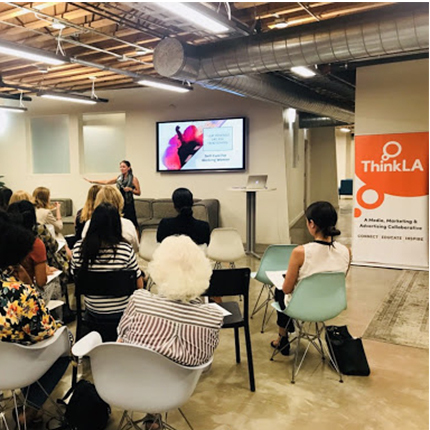 Attendees were able to mingle with LA's thought leaders and ThinkLA board members, and learn more about how to get involved in our community.